If guest cancels seven days prior to check-in, the guest will receive a full refundIf guest cancels within seven days of check-in, the guest will be charged in full for one night and 50% of the rest of the stay.If a guest cancels during their stay, it is up to the owner to determine how much, if any, refund will be given. We're located in the heart of the Blue Ridge Mountains, eight miles north of Boone, North Carolina, and within a two-hour drive of Charlotte, Greensboro and Asheville, North Carolina, and the Tri-Cities region of Tennessee. We're also near to the Blue Ridge Parkway, Grandfather Mountain, the New River, Blowing Rock and Tweetsie Railroad. At 4,000 feet of elevation, the area boasts mild temperatures and cool mountain breezes. Blue Bear Mountain Camp is excited to add glamping to the existing variety of camping options. The Tepee is now available for guests to enjoy their camping experience while staying in supreme comfort. Located on 150 acres of pristine mountain land in the heart of the Blue Ridge Mountains, with beautiful views and cool temperatures at 4,000 feet elevation, the property's number of sites is limited to protect the land and offer a more secluded experience. This leaves plenty of room for outdoor activities. 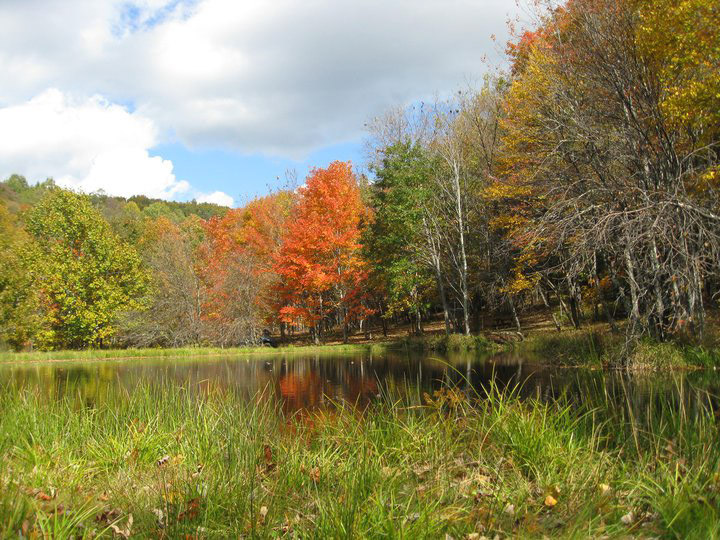 There are miles of hiking trails, a large open field that is great for all kinds of games and a trout pond. It's also home to Music Fest at Blue Bear Mountain, held each year in September. Blue Bear Mountain offers spacious, Low Density RV camping, spacious, private, rustic car accessible tent camping, and spacious, private remote tent camping. Each camp at Blue Bear Mountain contains private bath houses with showers, natural spring water, trout fishing, and miles of trails. Each of these following amenities are available to all guests at Blue Bear Mountain. The luxurious tents offered contain picnic tables, a fire ring, a grill and benches. Hiking on the beautiful trails can lead you to explore the beautiful mountains of western North Carolina in their natural tent. All of the campsites are tailored to provide you with the best camping experience possible. Blue Bear Mountain even offers transportation for you, your group, and your equipment to our remote campsites, however if brave enough, you can also hike to your campsite and staff members will be there waiting for you with your equipment. In a beautiful mountain setting with incredible views, the Tepee is a great way to enjoy the camping experience without really roughing it. Furnished with a queen-size bed, complete with high quality linens, and bistro table and chairs, you will stay in complete comfort. Roll-away beds are available to rent for additional guests. (Tepees sleep up to 3-4 guests.) Conveniently located with the bathhouse nearby, you can drive right up to the majestic, 22-foot, hand painted tepee. Alcohol is allowed on the property for those of legal age. To protect against the spread of insects and disease, firewood cannot be brought onto the property. Firewood is available in $10 and $20 loads here on the property.